This entry was posted in Announcements and tagged journal, notes, template by gregr. Bookmark the permalink. Awesome…I’ve been wanting this feature secretly, you guys read my mind! I do have another idea floating around in my head though, can you guys implement tags at the daily/journal level? 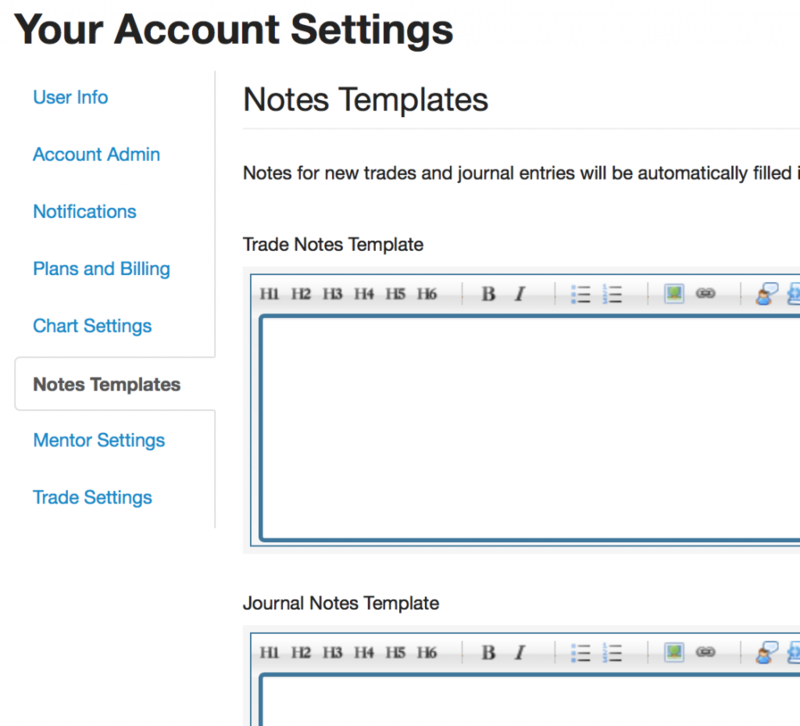 I often times want to tag the whole day when entering journal entries so I can later filter trades by daily tag. The daily tag should allow me to filter for all trades on days that match that tag. This would allow me to see how performance differed between one daily tag versus another. E.g. I tag some days with “FollowedRules”, and other days with “BrokeRules”. I would like to then filter by day tag in Reports View to see how I performed on days I followed my rules versus days that I didn’t. The only way currently to do this is to go back at the end of each day and bulk tag all trades in a given day with “BrokeRules” or “FollowedRules”, which is kind of annoying. Its also nice to be able to see tags quickly at a glance at the daily level when reviewing journal entries, not to mention the ability to filter for days/entries based on tags.